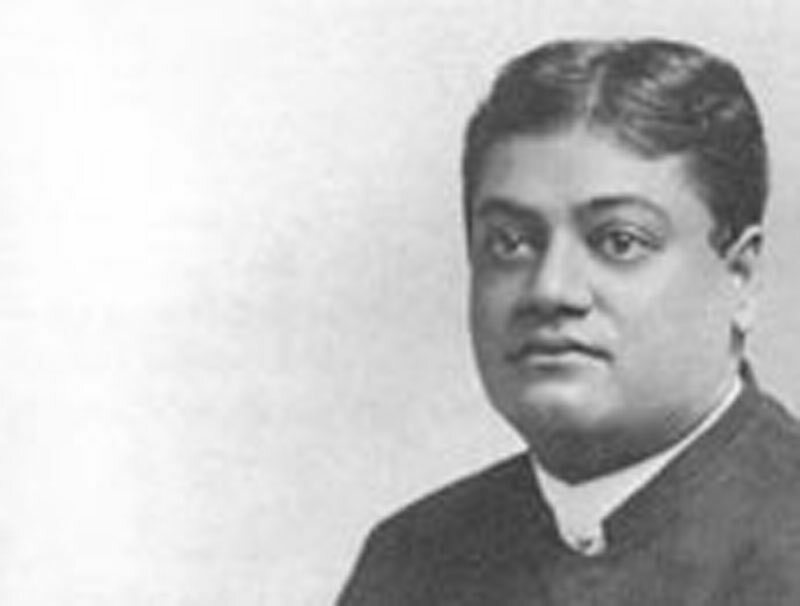 Swami Vivekananda, Hindoo high priest, lectured last night at Harris' Academy of Music Concert Hall. His subject was "India and Its Religion." (Of which no verbatim transcript is available.) He explained the belief of the various Eastern religions, including his own, which is Brahminism. He ridiculed the idea of sending missionaries of so many different faiths to heathen lands, and said that the various religions engaged in missionary work should be united. Mr. Vivekananda explained that the Hindoo religion is optimistic and not pessimistic. His main point was the doctrine of reincarnation, which means that all have existed before and will live again in other forms. The proceeds of the lecture will be applied to the work of founding an international college.